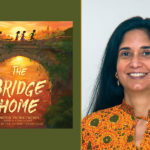 In this episode of This Is the Author, meet Raymond Arroyo, author of Will Wilder #3: The Amulet of Power; Padma Venkatraman, author of The Bridge Home; and Julie Bogart, author of The Brave Learner. 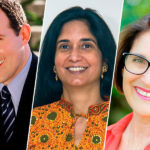 Drawing on inspiration from childhood memories, travel adventures, and insights in education, hear why each of these authors are excited to share their stories with listeners. Plus, discover how one author used her high school acting experience to help her narrate.